This hearty bean dish could make you rich...but there's no doubt it will be delicious. My family is superstitious. We hold our breath when driving through tunnels, we knock on wood, we say, “bread and butter” when something splits us up while we’re walking (in order to avoid a fight; it’s a strange practice, but it works every time). But our tastiest superstitious tradition is eating Hoppin’ John on New Year’s Day. 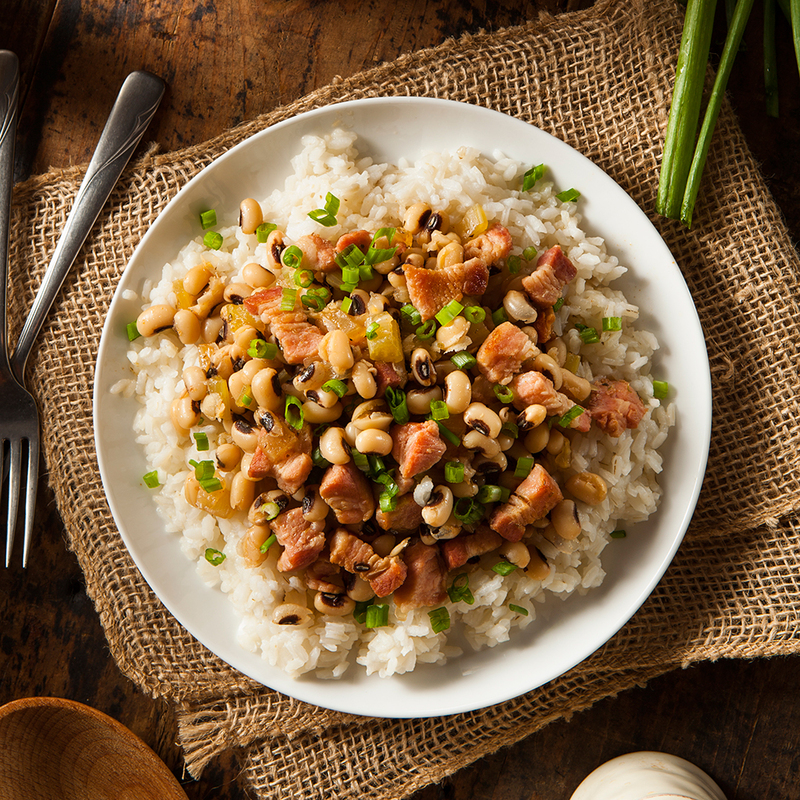 This classic Southern dish, a one-pot meal of black-eyed peas, ham hock and rice, is believed by many (not just the Sterlings) to ensure wealth and bring good luck in the upcoming year. There are other, more tangible reasons to make Hoppin' John on January 1st. There's minimal chopping and a bit of meditational stirring, so you can make it with any level of post-party hangover. It creates just the right cozy atmosphere: The rendered ham hock (or bacon or sausage, depending on your pork preferences) fills the house with delicious, meaty smells and the simmering pot of peas warms the kitchen. 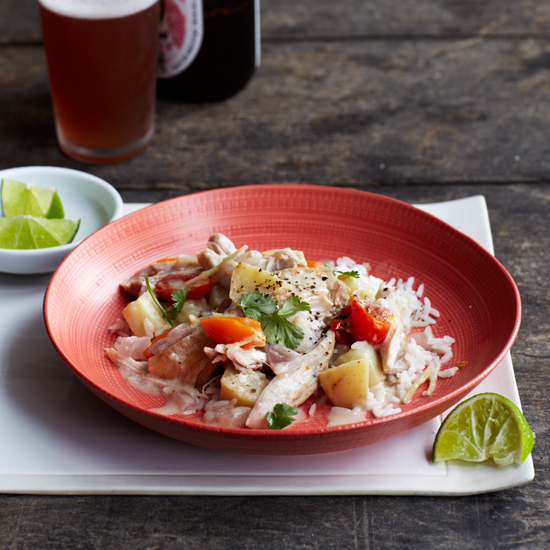 Plus it's creamy, savory and filling without being so unhealthy that it ruins any chance of keeping your resolutions. This robust, quick-cooking recipe uses smoked sausage. It’s gets an extra healthy hit from collard greens. Star chef Sean Brock riffs on the classic dish by topping it with thick pea gravy and smoked oysters. In his take on the recipe, Bobby Flay combines black-eyed peas with another Southern staple, dirty rice (white rice with chicken livers).